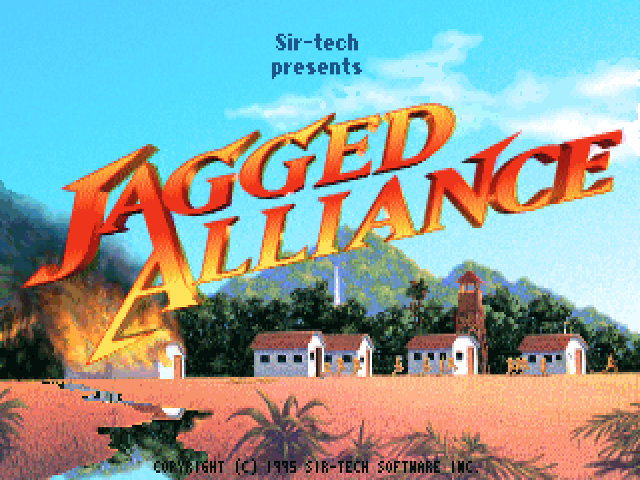 You can download the full version of Jagged Alliance from the download stores listed below. 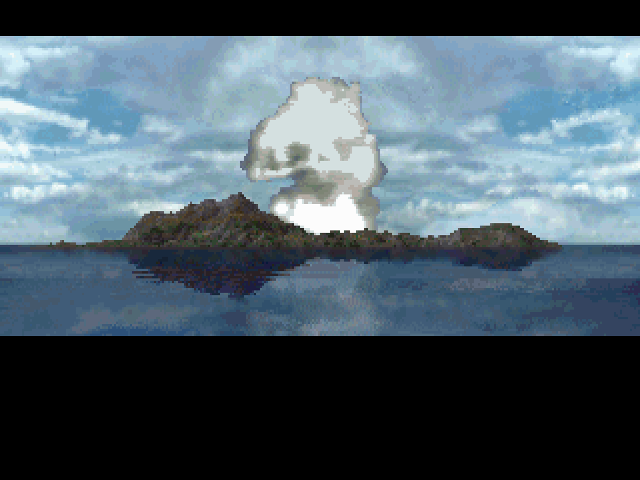 It's been a long day. 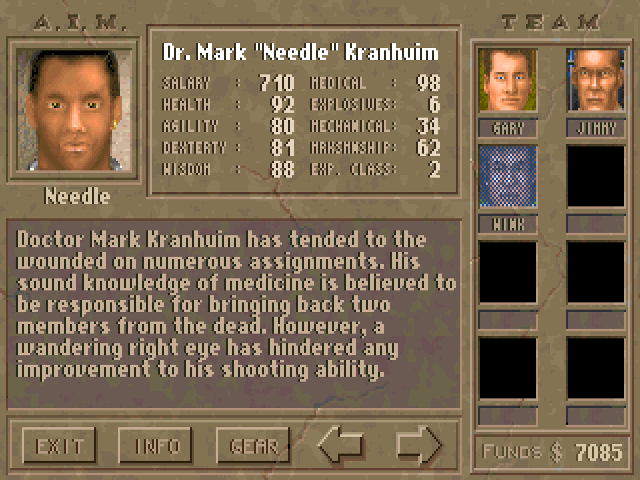 Three of your best mercenaries are in the infirmary with shotgun wounds, and the medic is threatening to quit if the casualties continue. 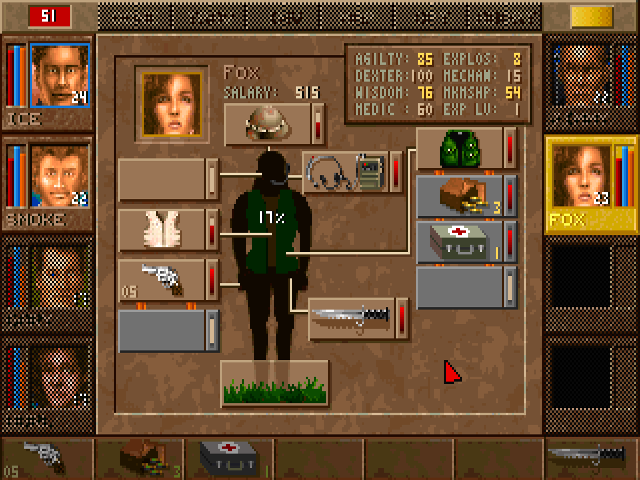 The workers are demanding more money, and an informer tells you that one of your mercenaries is about to snap. 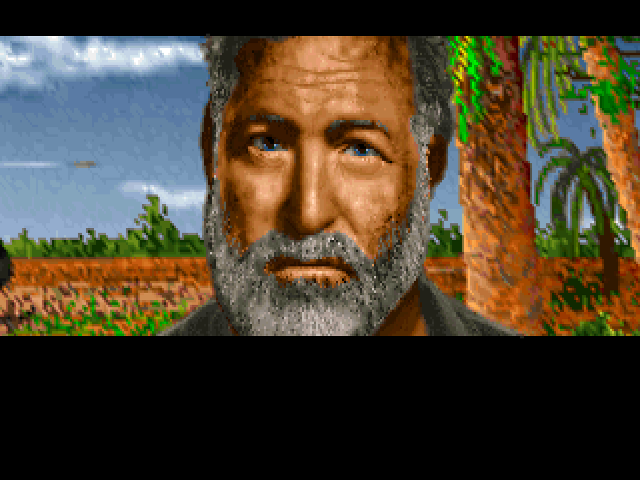 Still, you won three sectors away from the heavily armed enemy, and the medicinal sap you sold brought in a nice chunk of change. 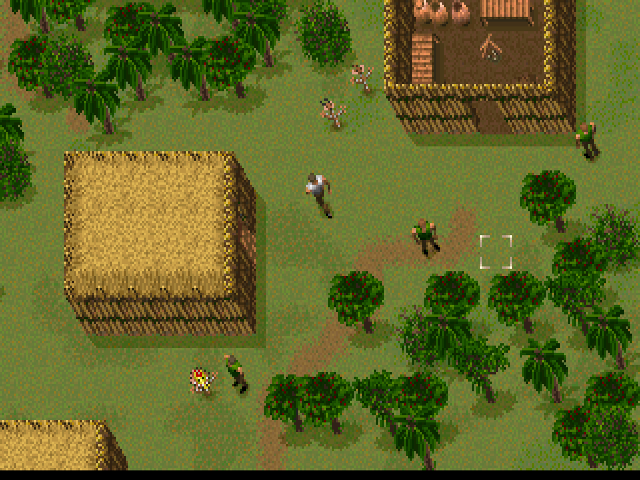 That's just an ordinary day at the office in Jagged Alliance, Sirtech's award-winning blend of strategy, tactics, and role-playing. 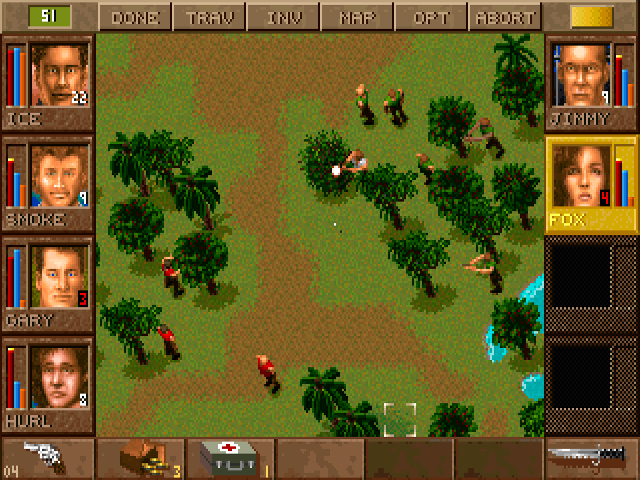 In Jagged Alliance, you control a group of mercenaries hired by scientists to wrest control of a tropical island away from Lucas Santino. 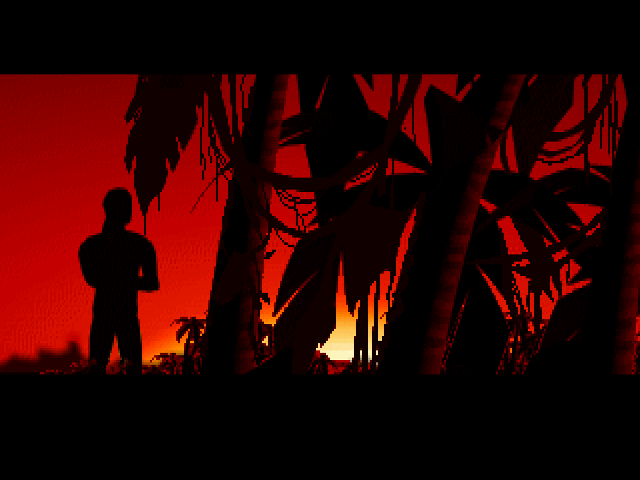 Santino wants the rare plants on the island for his own nefarious purposes, and it's your job to see he doesn't get them. 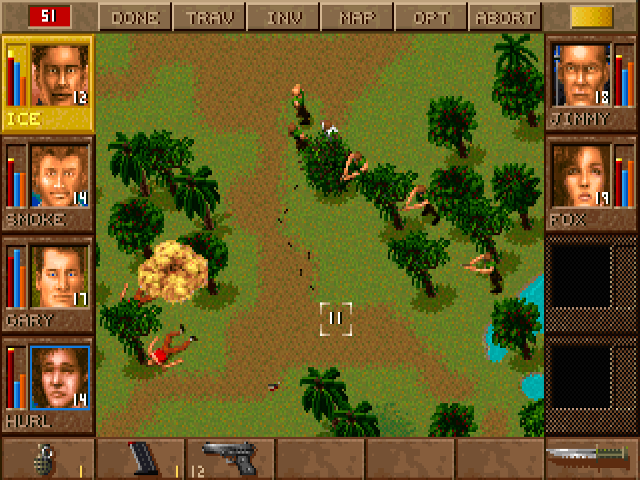 Arm your mercs with guns, explosives, and high-tech gear, and send them into the jungle to win back the island, sector-by-sector. 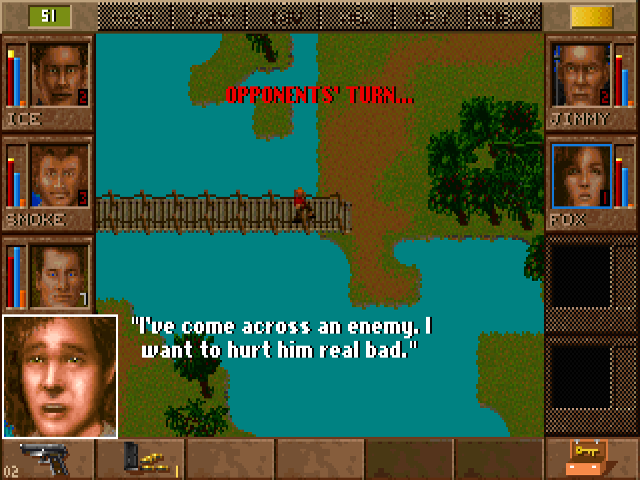 Jagged Alliance allows you to plan every move in your campaign, from how much you pay your workers to where you place the explosives to blow open an enemy stronghold. 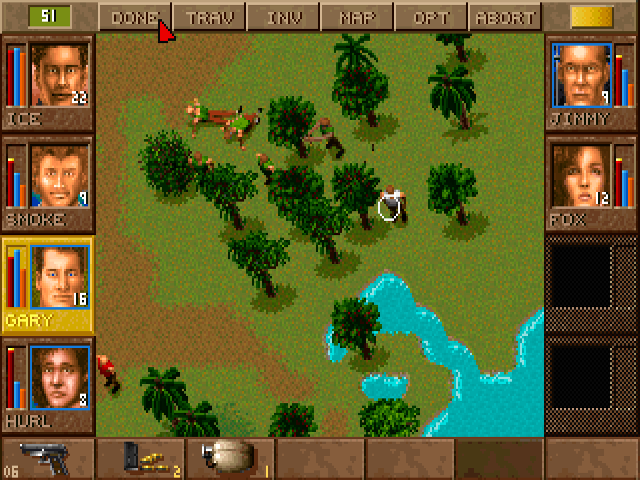 Its turn-based combat will keep you on the edge of your seat as you explore dense jungles, booby-trapped buildings, and snake-infested lagoons. 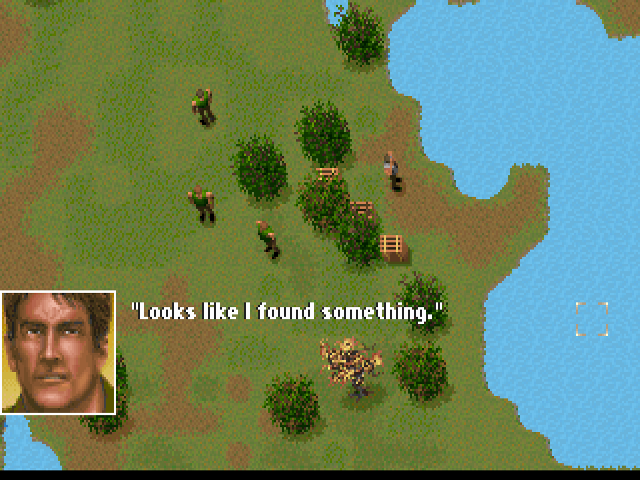 Jagged Alliance is far more than just another tactical combat game. Your men aren't just faceless grunts. 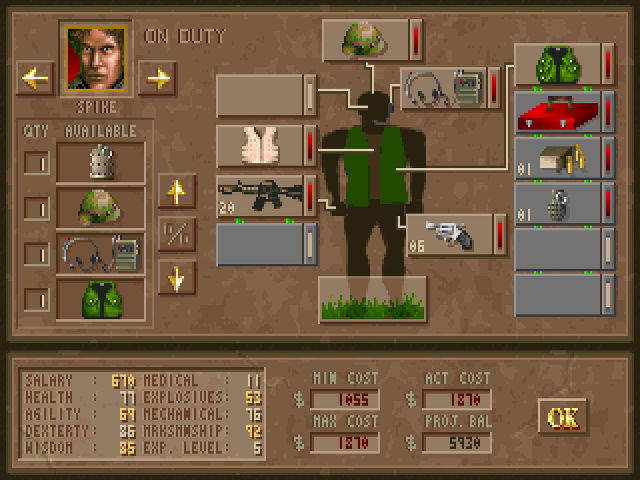 Each of your mercenaries has a distinctive personality, skills, and voice. 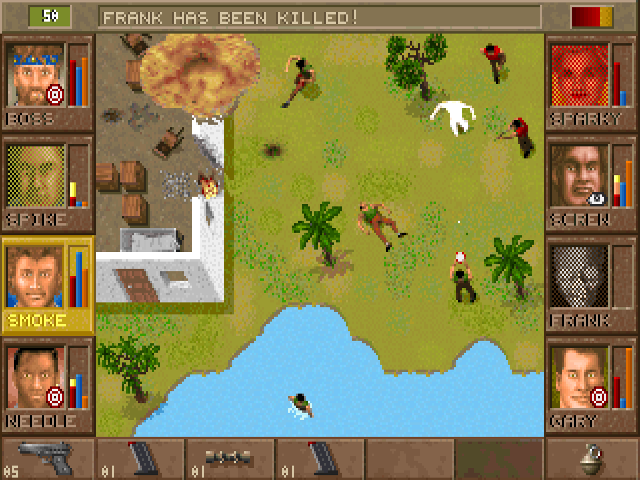 Mercenaries improve as they gain experience--unless they are wounded, or freak out under the strain! 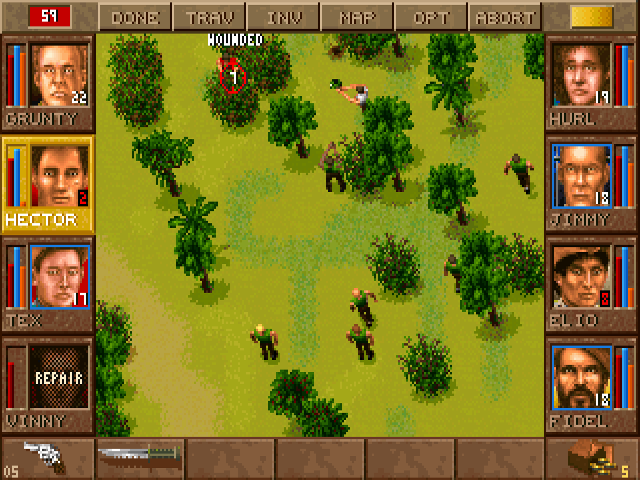 Jagged Alliance is a mix of role-playing and strategy unlike any other game.